Our self-raising flour is perfect for making delicious, soft naan breads, bhaturas and other leavened breads. We select only the finest wheat flours and blend it with raising agents to ensure that our Atta gives the perfect rise and softness . Winning 2 gold stars at the ‘Great Taste Awards 2017, our Self-raising Atta is the first choice of many restaurants and caterers. 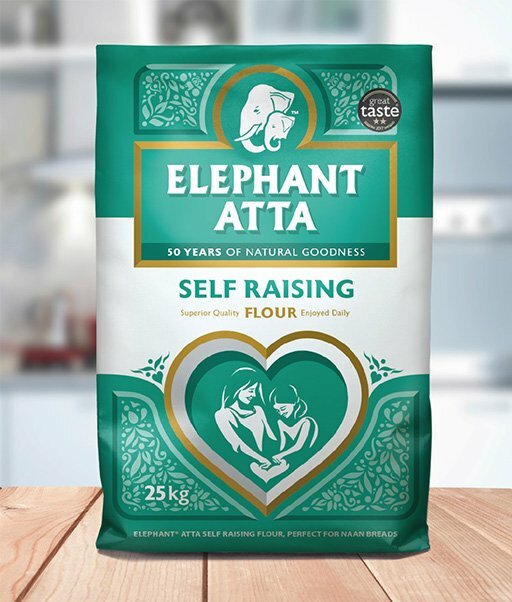 Our award winning Elephant Atta Self-raising is also the popular choice of atta with the South Asian restaurant and catering sector. The recipes below promise to be not only healthy but also delicious. 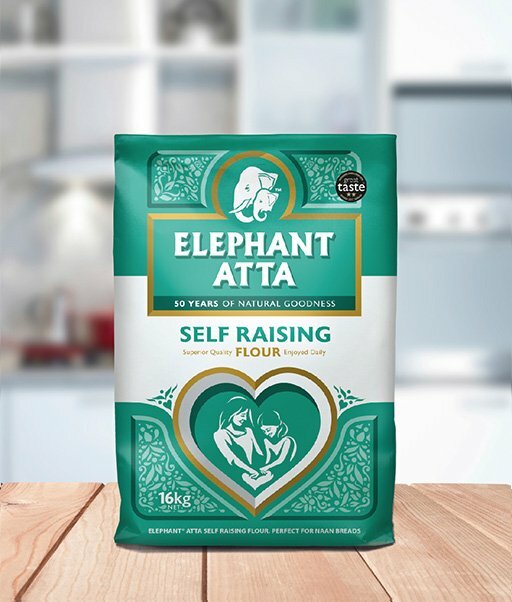 self-raising flour for naan or Chakki atta for those special occasions.